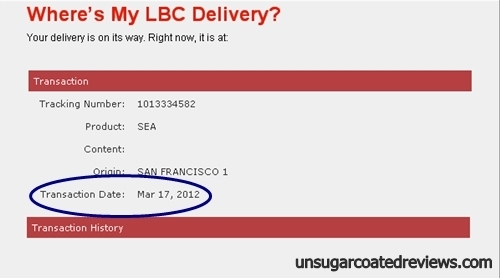 I've sent around a thousand packages through LBC since early 2009. LBC had a very useful Web site. It included an online tracking service, a rate calculator, a list of deliverable areas, and a list of branches. The only thing that I didn't like about the previous site's functionality was that you had to click "Track" right after entering the package's tracking number. If you just hit enter, nothing would happen. 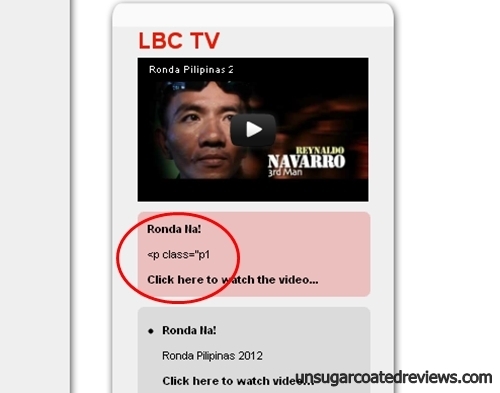 LBC "revamped" their site a few weeks ago. This is one of those cases you often hear about: "if it ain't broke, don't fix it". Two days ago, I got lucky and was able to use the online tracker. This morning, when I checked one of the provincial packages I shipped yesterday, I was surprised to see that the result said the contents were documents and that the package came from another location. So I tried again. Lo and behold, I got a different result. 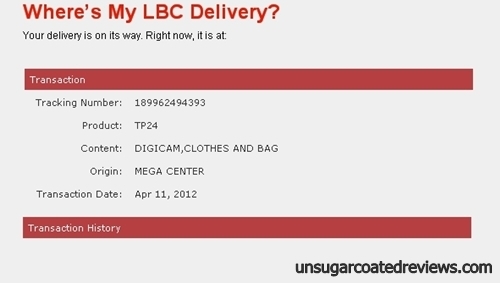 So I tried several more times using the same tracking number. I either got the 404 message or a random result. I posted some examples below. They have a weird IT team, that's for sure. Hired a new webmaster !! same problem here,. any update on this? The problem comes and goes. 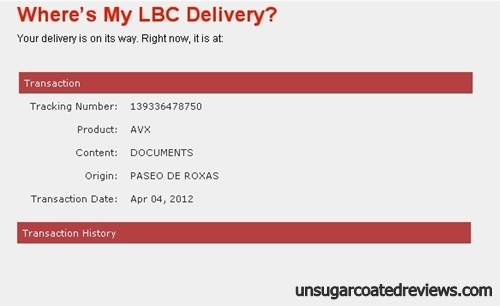 I've already informed LBC about it in April and again a few days ago. 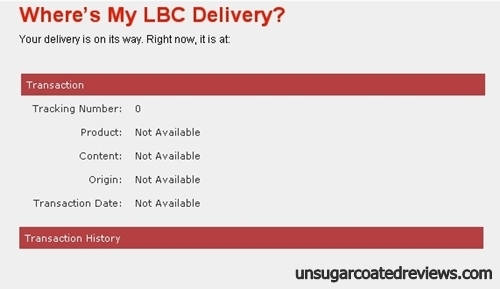 If the online tracker is not working properly, you can ask for a package's status through their hotline. damn said right!! 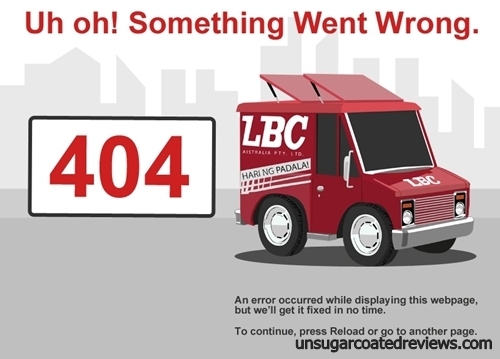 lbc is stressing much their clients for this matter!!!! i for one right now can't seem to track ma cargo! and all they could say is verify with your shipper!!! suckers!